Aerodynamic Drag is a force which the oncoming air applies on a moving body. It is the resistance offered by the air to the movement of the body. 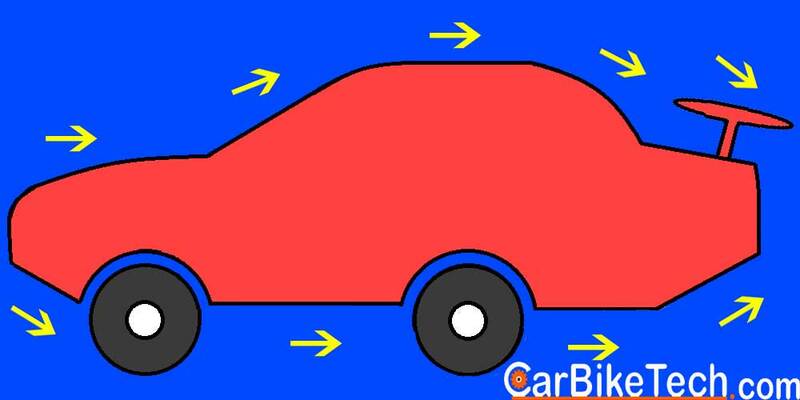 So, when a car is moving; it displaces the air. However, it affects the car’s speed and performance. Technically, it is the aerodynamic drag or the friction offered by the air to a vehicle. Manufacturers always try to keep the Aerodynamic Drag to the minimum possible. This is because it has a negative effect on the vehicle’s performance and efficiency. The upright stance of some vehicles gives it a drag coefficient of 1.30 while a raindrop design has the least amount of drag. Nowadays, cars have an average drag coefficient of 0.40 and some car have as low as 0.26. Such vehicles are said to have the best aerodynamic design. Also, the power you need while moving a body through the air goes up with the speed. So, above 60 km/h, you need a lot of power to push the car to overcome the aerodynamic drag. The reduction in drag can help to decrease the wind/air resistance of a vehicle. Thus, it helps to increase fuel efficiency to some extent. It also improves other performance characteristics os the car such as handling and acceleration. The vehicle’s frontal area and the drag coefficient are the two main factors which have an impact on the overall drag effect. How to reduce the Aerodynamic Drag? Firstly, you can lower the drag coefficient by streamlining the exterior body of the vehicle. Streamlining the body requires the use of character lines and precise calculation of the surrounding airspeed. 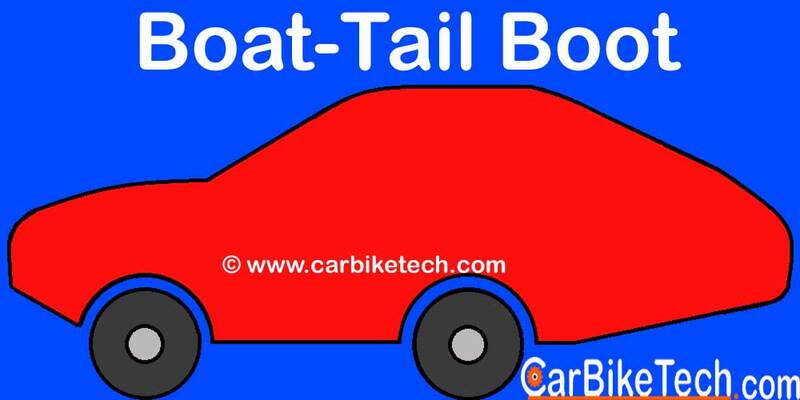 In some high-speed cars, the manufacturers install a rear spoiler onto the boot to reduce the drag to a great extent. To reduce the aerodynamic drag further, the manufacturers use character lines on the exteriors of the car's body right from its concept stage. These lines help the air to pass smoothly over the body and thus, reducing the air resistance. For eliminating the aerodynamic-drag, the manufacturers typically work on the external components. These include the roof rack, mud flaps, rear spoiler, side mirrors, radio antenna, and windshield wipers, etc. They also employ crucial design bits such as the partial front grille, redesigned under-body trays, and fender skirts, modified front bumper, redesigned wheel covers, and boat-tail shaped rear boot, etc. Read here more about how the aerodynamic drag affects the fuel economy. Home » Technical Anatomy » How Aerodynamic Drag affects vehicle performance? iDSI – What is Intelligent-Dual Sequential Ignition system by Honda?